Maryl is a portfolio of integrated companies- Development / Architecture / Planning / Construction. 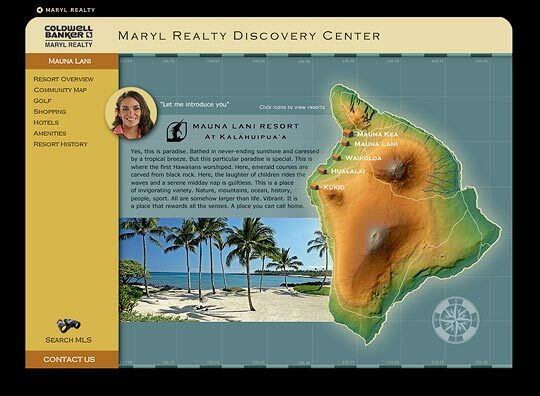 The Discovery Center is a portal to searching Hawaiian MLS—with exceptionally robust emphasis on 5 Maryl Resorts, each one; a microsite with streaming video hosts, coordinated slideshow, and deeply detailed amenities profiles. Streaming video "guide" to each resort. Multiple Slideshows for protperty attributes.